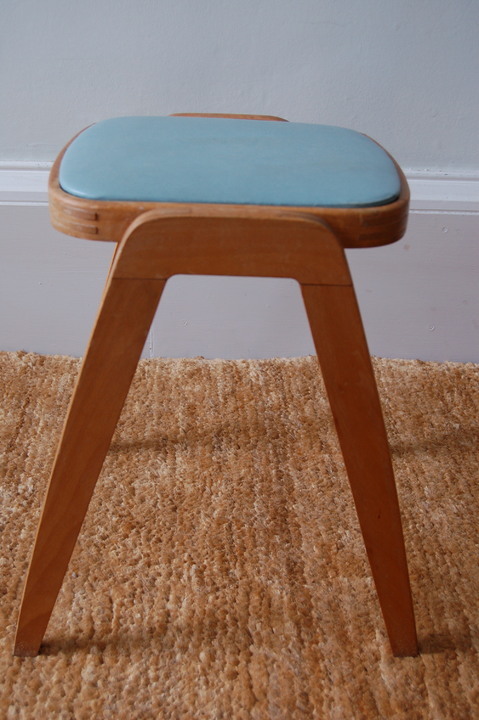 A fantastic opportunity to purchase a pair of classic 1960s vintage, utility-style stools - perfect for any kitchen - conveniently stackable to save space. 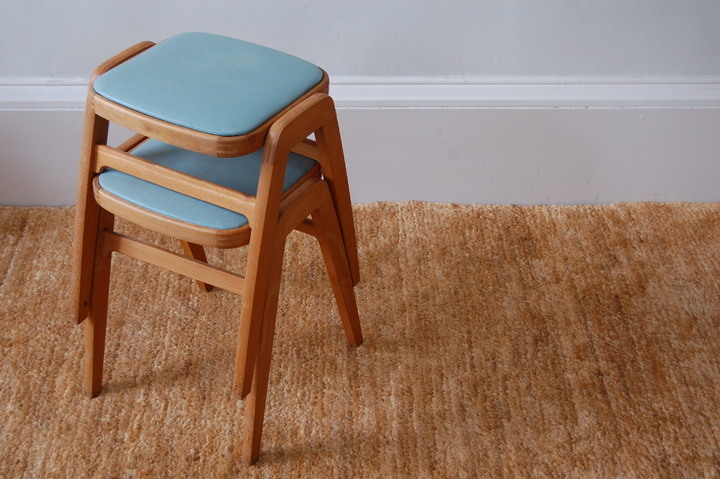 Blond wood and blue seat pad. 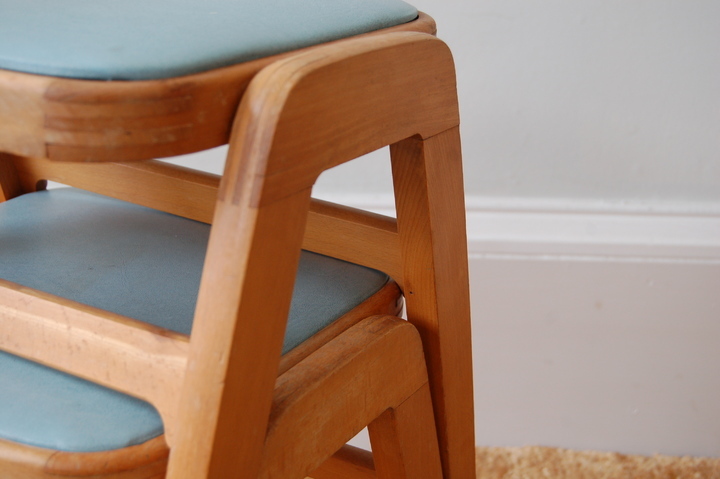 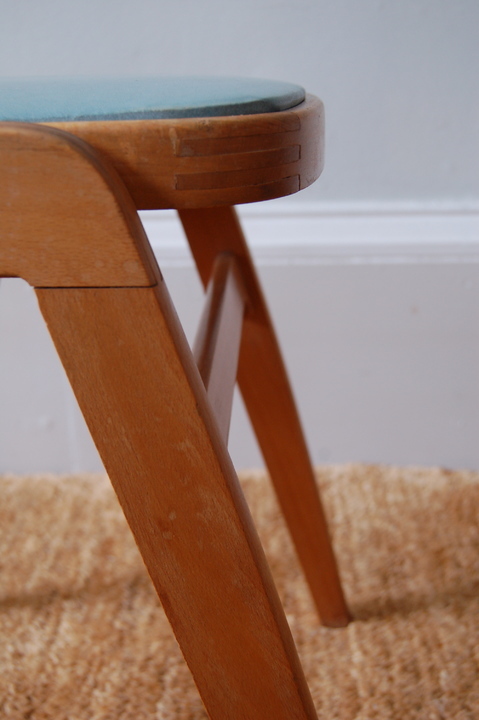 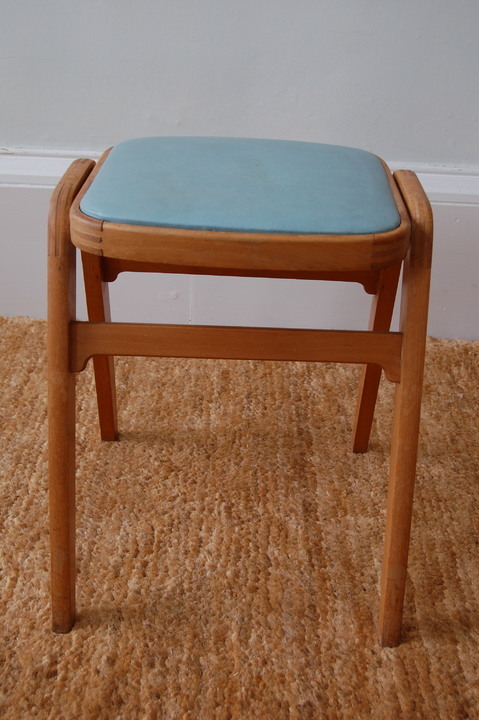 The stools are in good condition although they show some signs of wear commensurate with age.